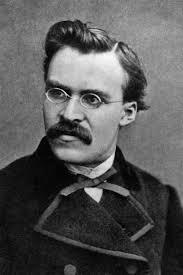 It would take another Nietzsche to stand wild-eyed in the market place and declare The Charismatic Leader is Dead. I may be wild-eyed from time to time, but I’m no Nietzsche. What seems to be happening is a growing appreciation of the downside of the charismatic style in business, politics, sport and other fields of human endeavor. We continue to be fascinated by Special Ones, and not disinterested at their falling from grace. In the last few days, further stories are have been reported about the charismatics Jose Mourinho and Camila Batmanghelidjh. You will still find plenty of invitations to train yourself to be more charismatic in books and posts on the internet. These vary in quality from the plausible to the nonsensical. So Caveat Emptor. Subscribers to LWD will have seen or at least have had a chance to see my jokey league tables of charismatics ranging from Che Guavaro to Lady Gaga. There are one or two serious points to the joke. First, if you try to make sense of the league tables you will see how difficult (impossible?) it is to establish an acceptable metric for charisma. The closest one that I can think of is the established measure of leadership by Bass and Avolio. This relies on scores based on inventory reports by those who know and interact with the leader. Some still call them followers. my view this is most suited for work with small project type teams. The more complex cases run into the need for dealing with multiple levels of analysis. The perceptions of a leader vary both across levels and within levels. Furthermore, there are few organizations around which can justify examination as having pyramid-like levels of authority. Another difficulty is posed by the possibility of shared or distributed leadership. This topic is increasingly attracting the attention of leadership scholars. I find examples in sports management particularly important. How might we compare the charisma of football coaches with the charisma of on-field captains or ‘social architects’? Increasingly, social science is becoming uncomfortable with universalistic theories in favour of contextual ones. Teresa Amabile has done a great job moving us in the direction of reconceptualizing creativity and putting it in context. One of the reasons I remain interested in charismatic leaders is the possibility of its reinterpretation in such terms. My work on Dilemmas of Leadership addresses this in its chapters on charisma and creativity. This entry was posted on Friday, October 16th, 2015 at 7:46 am and is filed under Uncategorized. You can follow any responses to this entry through the RSS 2.0 feed. You can leave a response, or trackback from your own site.